What would you do if you have been training for three months for a trail marathon and are struck down with a flu two days before the event? 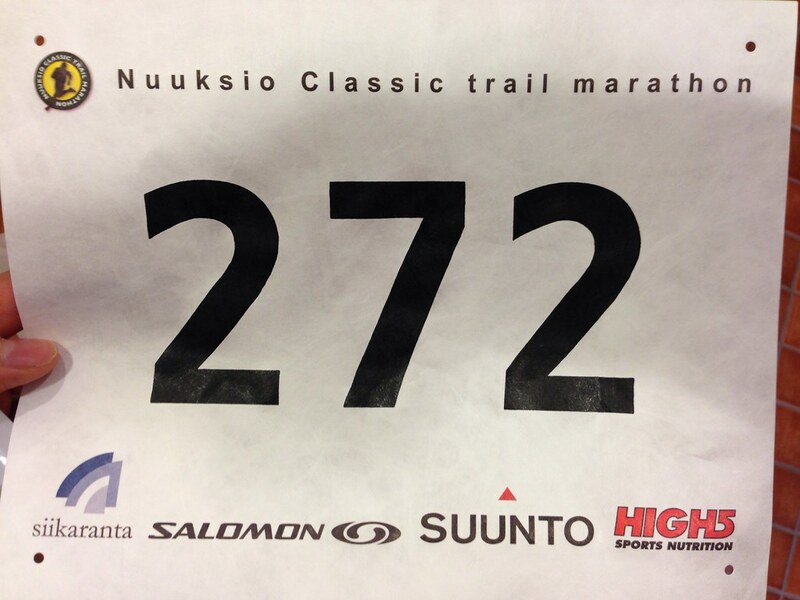 In early summer Timo tweeted about the Nuuksio Classic trail marathon. I was immediately intrigued by it, and after a short moment of pondering sent in my registration. Alas, the 400 places were already all taken, but I was on the waiting list so not all hope was lost. 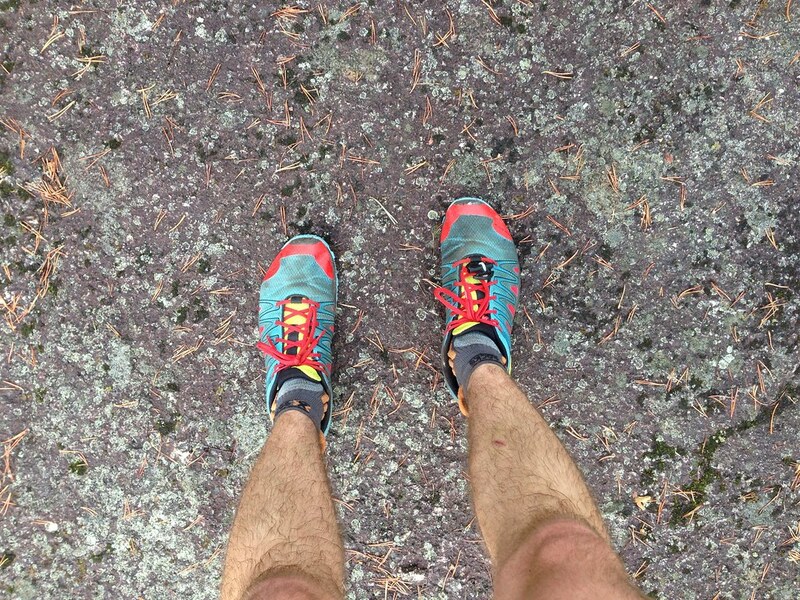 I have been trailrunning since I lived in Spain in 2008, on and off. In Valencia, a beautiful city at the Mediterranean sea, they diverted the river and the now empty river bed was transformed into a beautiful green belt which ran around the old city, where we lived. In the evenings, when it was colder, I used to put on my running shoes and clothes and head out to run a few laps between flowering orange trees and past soccer fields full of enthusiastic players. 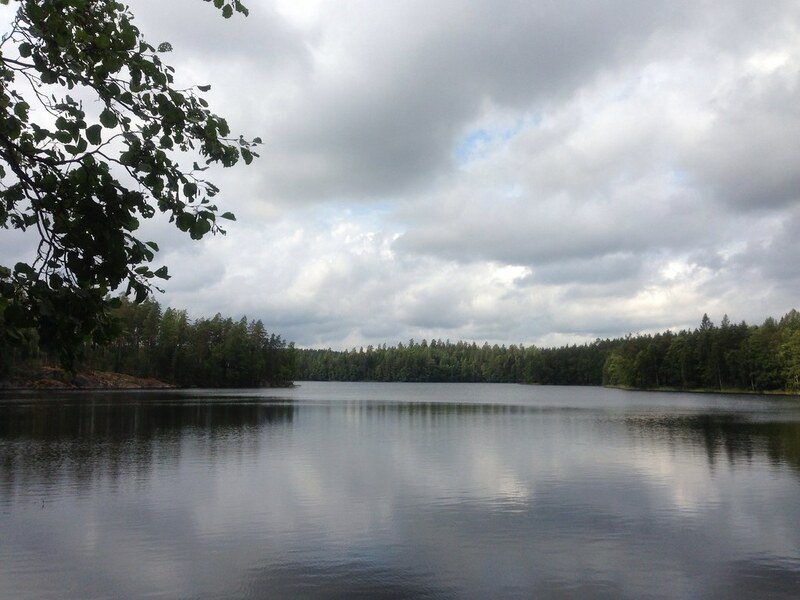 Back in Finland I moved to Tampere, and with Pyynikki in front of my door I had another great destination to go running in the warm seasons and skiing in the cold. 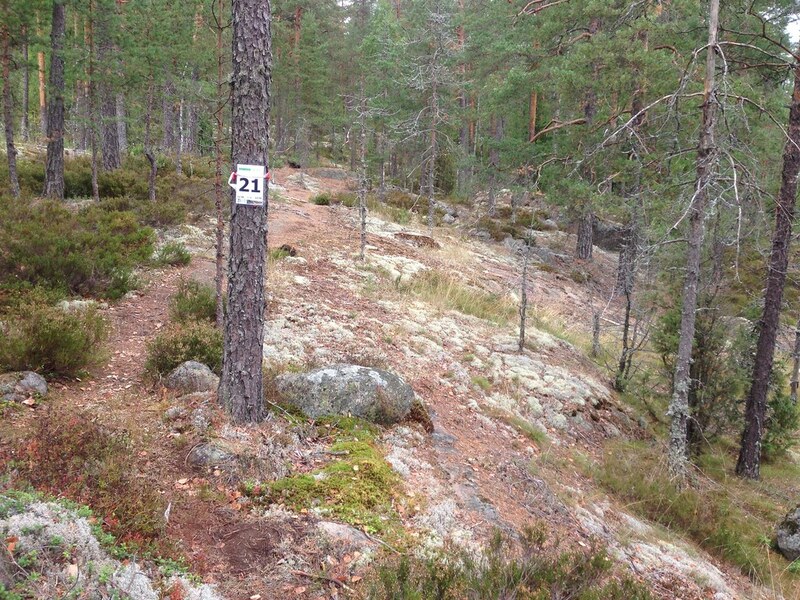 Now, here in Vaasa there are also plenty of nice forest trails around, and on these I have been spending my evenings training. The beginning was slow, but my aim was to not break records but to build up the endurance needed to finish a 42 km race. Training went well, from muscle cramps and hip pain on the first few evenings to running an hour non-stop without breaks with a 6 minutes per kilometre speed. 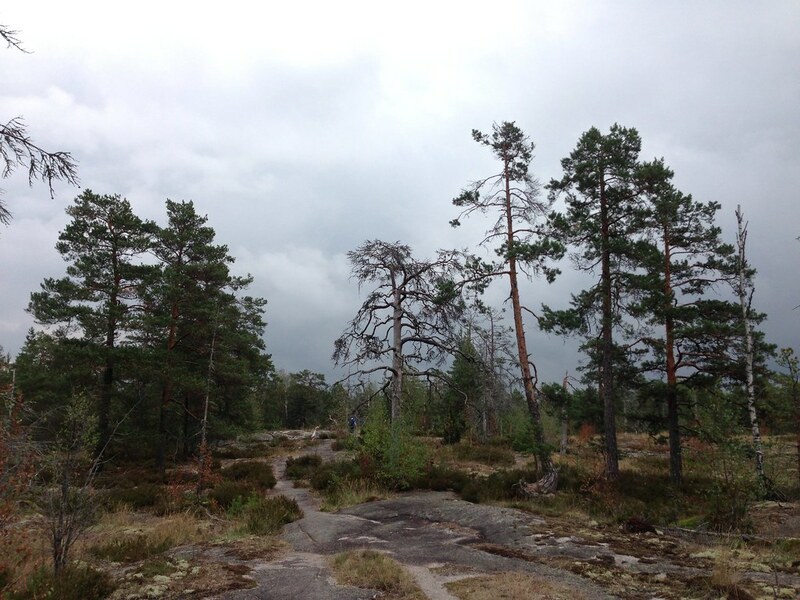 I got to see the nice forest trails in all kind of weather, from rainy and wet to hot and dry, without any mosquitos to stand-still-and-lose-a-liter-of-blood. Then, in July I finally got the Email I was waiting for: I’m in. Race fee paid, information sent in, off for another round. The end of August approached, and with it the end of summer. Thursday before the event my nose started to run. Not run like in a marathon, but run as in a flu. Throat pain joined it later during the day, and I was thinking that I probably should have worn a windjacket on one of those sunny-but-rather-windy bicycle trips to the city. But I wasn’t going to give up and drop out. I drank plenty of tea, ate even more healthy food than usual, threw in some Finrexin meds and started packing my backpack for the trip down south. Friday the nose and throat were still not good, bt I continued the “drink-plenty-and-eat-super-healthy” and we started the drive south. Pasta for dinner, more Finrexin, early alarm, off to bed. Saturday. I actually feel better I thought as I woke up. Sweet! I packed my pack, drank another tea, ate pasta for breakfast and then my mate drove me to location. I went to the registration, collected my number, GPS chip for the shoe and stuff and walked to the changing rooms. Lots of people getting ready, taping various places, rubbing vaseline on others. Lots of shorts, and a few tights. The weather was grey, and it looked like rain, even if there shouldn’t be any. I opted for the shorts and shirt, filled up my water bottles, packed the gels and other items in my AK Race Vest, warmed up and waited for the marathon to start. After the final announcements all of us walked down to a field behind the start, so that we all could pass the start gate where the GPS chip would start counting our times. I went to the back of the pack, and just as it started to rain the race was on. Despite the on-setting rain we were all smiling, and a few hundred meters later we entered the forest where paths were narrow and the canopy kept most of the rain at bay. The trail was nice, and just occasionally left the single track to connect via forest roads to other paths. 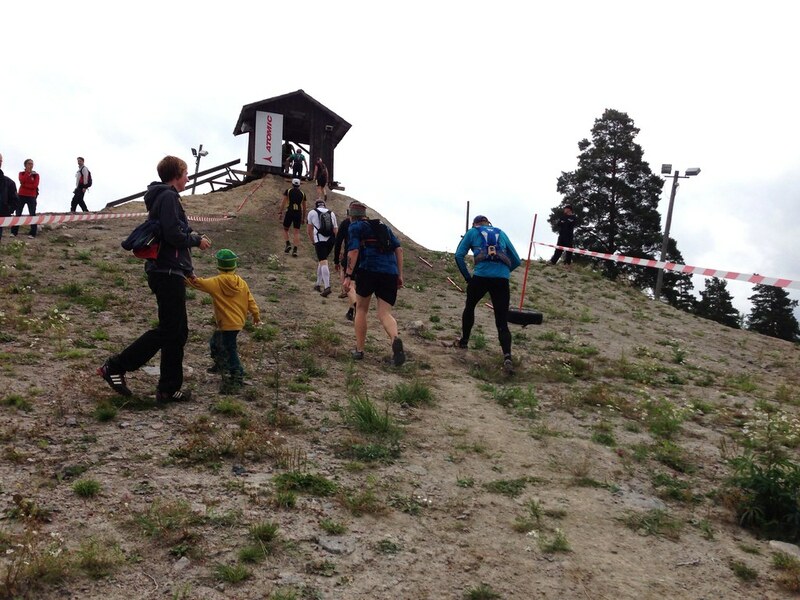 I ran at a constant pace with the group I started with for the first 11 km, till the first check point - which was on top of a ski hill! I gulped down half a litre of water, filled both bottles up - the next water station would be 15 km away - and set off again, now on my own. 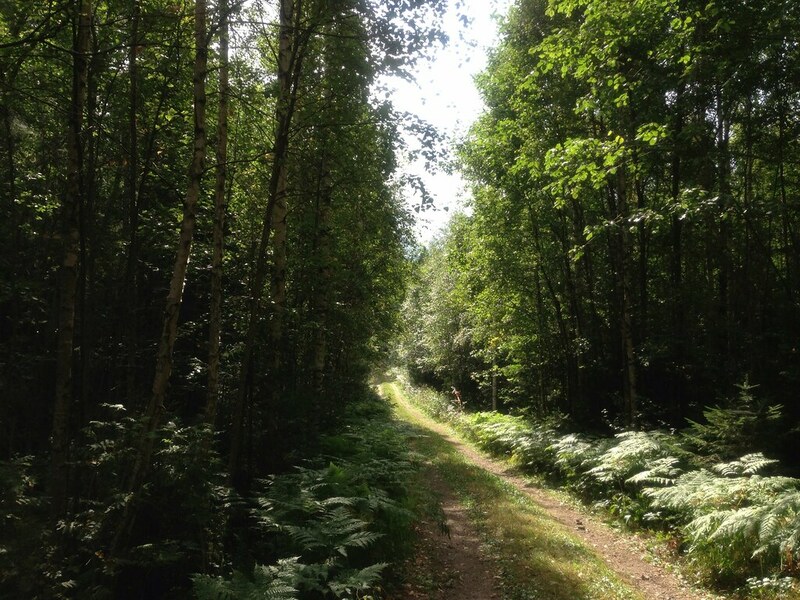 The trail ran gradually up and down, and the paths became more narrow again here and there. People passed me by, and a few kilometre into this stretch I formed a small group with two other runners in front of me, who where running a good pace. The weather was getting better, too. I stopped raining quickly after the start, but the grey clouds remained till about noon, when the sun started to come out once in the while. There were some great views along the trail, over long lakes and forests with nice contrasts, but I only stopped a couple of times to make some photos.I really liked the route, high trails which lead along lakes, narrow, soft paths through forests, and even a few duckboards were there! The running went very well. The first 11 km I ran all the way, but then there would be the occasional stretch I would walk. I drank plenty, had an energy gel every 45 to 60 minutes, enjoyed the fine scenery and stepped aside as a faster runner approached to let him/ her pass. The kilometers went by at a good speed, the nose and throat were no problem, the sun was shining and I felt very happy to be out here running. 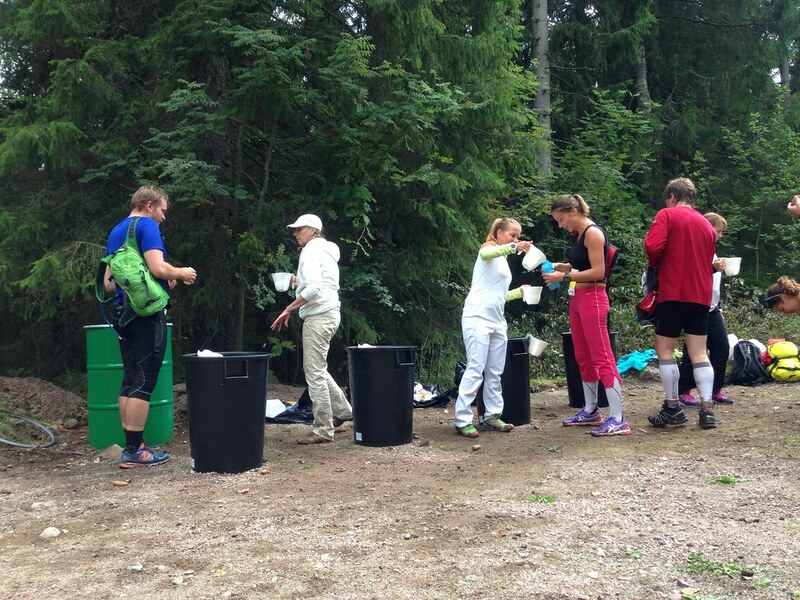 I reached the 26 km water station and heard that the first ones were close to finishing. I, on the other hand, wasn’t. I had another bottle of water, a gel and packed up for the next stretch. Now there was less running and more walking. 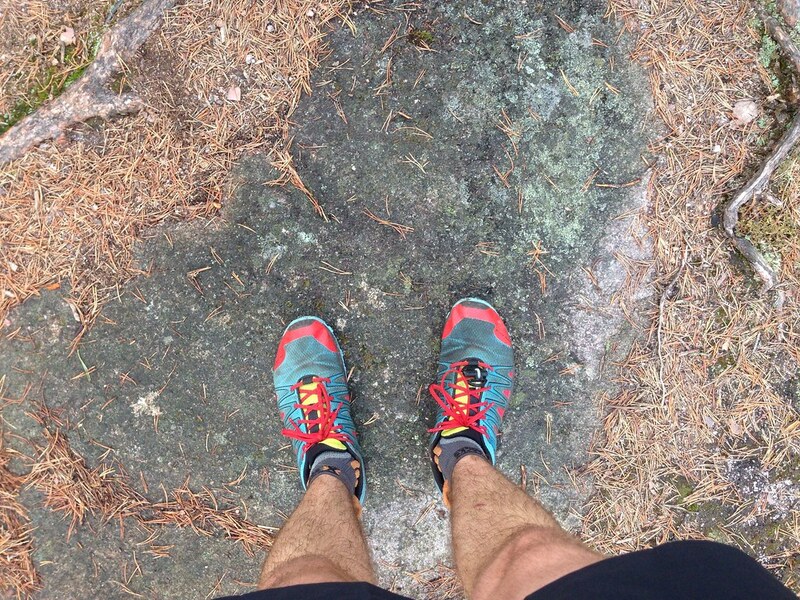 The trail ran across a lot of rocks, and with my choice of shoes and only 6 mm cushioning I started to feel that rock - even if I am a fore/ middle foot runner/ walker. 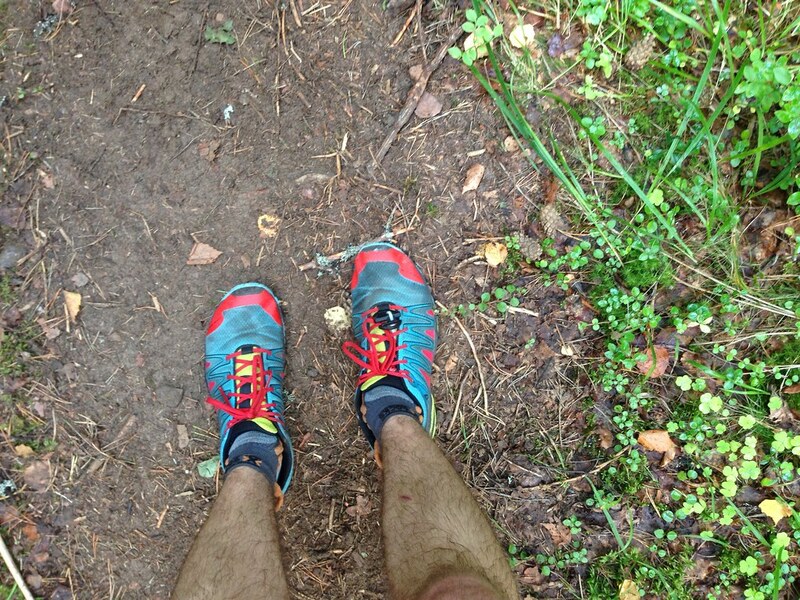 So I walked on the rocky sections, and ran on the soft sections. At the 33 km water station they had salt water, and I had half a liter of it as I felt I lacked salt and had minor cramps in my legs. I refilled one of my bottles with water and the other with an isotonic beverage, and hit the trail again for the final 9 km. The going now was good again, more running, less walking, also on rocks I kept up the pace, the goal getting closer and closer. 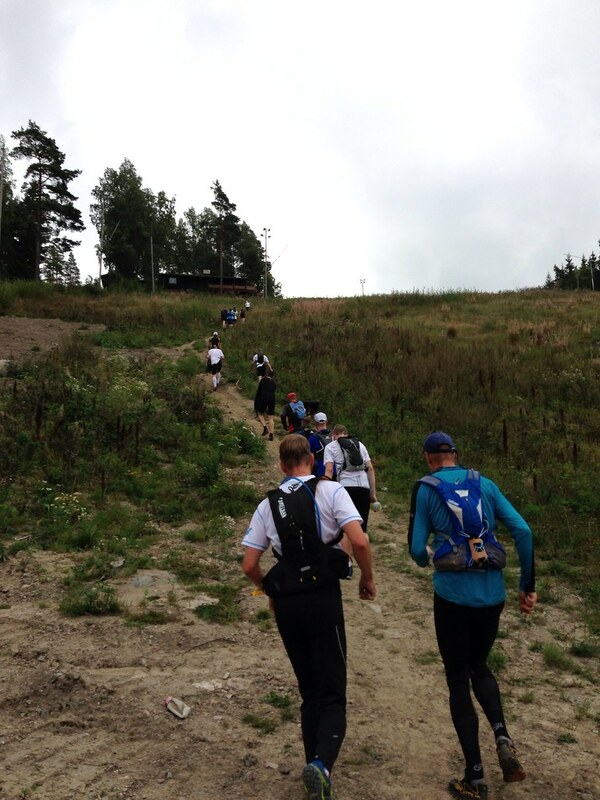 And then there were just two kilometers left. 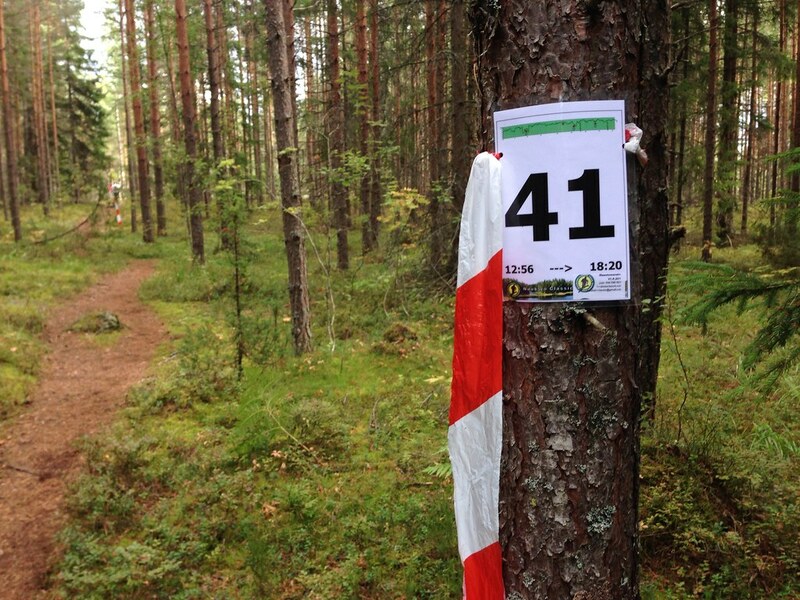 And then just a grassy downhill, a few meters on a gravel road, and through the Finish. After I passed the goal and my time was stopped I was interviewed, collected my T-Shirt, ate a few gherkins and headed to the Sauna. It really is awesome that right after a marathon you can go to a Sauna, where you can relax, stretch and recover from the race in a comfy environment. After a lengthy shower I got dressed in fresh clothes and headed to the buffet, where a tasty salmon soup was waiting. I was so hungry after the race that I ate two plates! Well fed I went out, where just a couple of women crossed the finish line and they were all smiles =) My friend was already there, though, so I jumped in his car and we left the event area behind. I didn’t have any sore muscles the days after, but my left foot was a bit in pain in the middle. I also wasn’t walking particularly fast on Saturday and Sunday! But now, four days later, all is back to normal and I’m walking at normal speed again. The flu is still here, too, but I keep it at bay with tea and plenty of fluids. 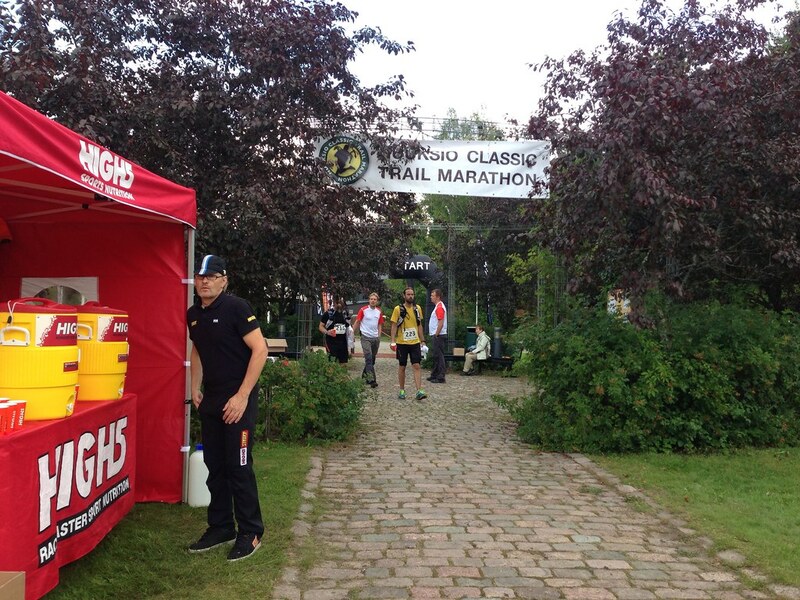 It was a great experience to run a marathon, a trail marathon. I dislike running (even walking) on asphalt, so the opportunity to run in a beautiful National Park on great trails in such a well-organized event surely was a terrific experience. Everything from start to finish went very well thanks to the good organization, and I am also very happy to have finished the race. 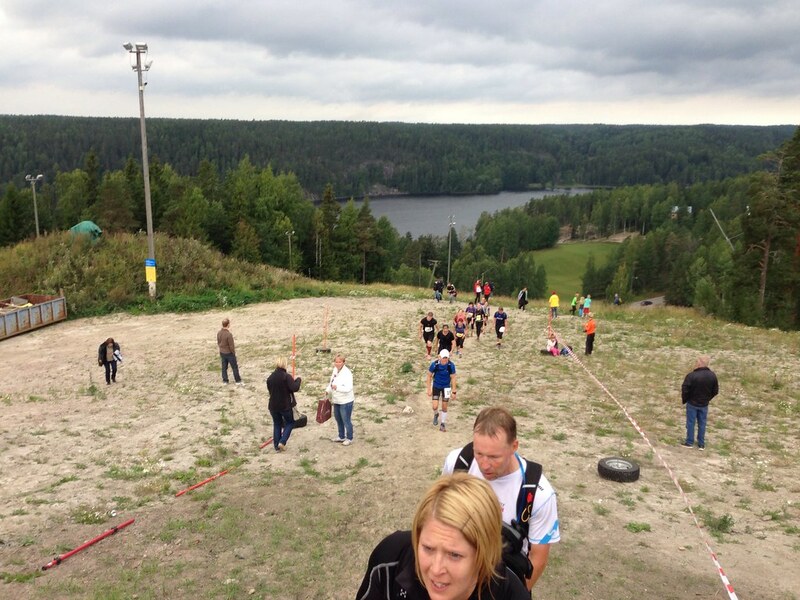 I’m now even pondering about longer races, and returning next year! I was wearing the 2014 Arc’teryx Sarix Short Sleeve Shirt & Soleus Shorts from their Endorphin line. The shirt is very thin and light and dries very quickly, the shorts has five pockets for gels, small bottles or your iPhone. It has a mesh inner shorts which is very comfortable, and the elastic waistband holds the shorts well up, even when loaded with stuff. I bought a tight the day before because I wasn’t sure if the weather would be good, though in the end I decided to run in the shorts even if it was grey on Saturday morning. There was no problems with chaffing or pressure points, and all sensitive areas are still intact - despite me using no tape or vaseline. I guess it just shows that the garments from Arc’teryx are superb! I wore a pair of X Socks Run Performance socks but was very tempted to pick up a pair of Injinji Run 2.0 socks the day before. The X Socks however were superb, I have a lot less sweaty feet in them than in other socks when running, so it was a good decision to go with them. 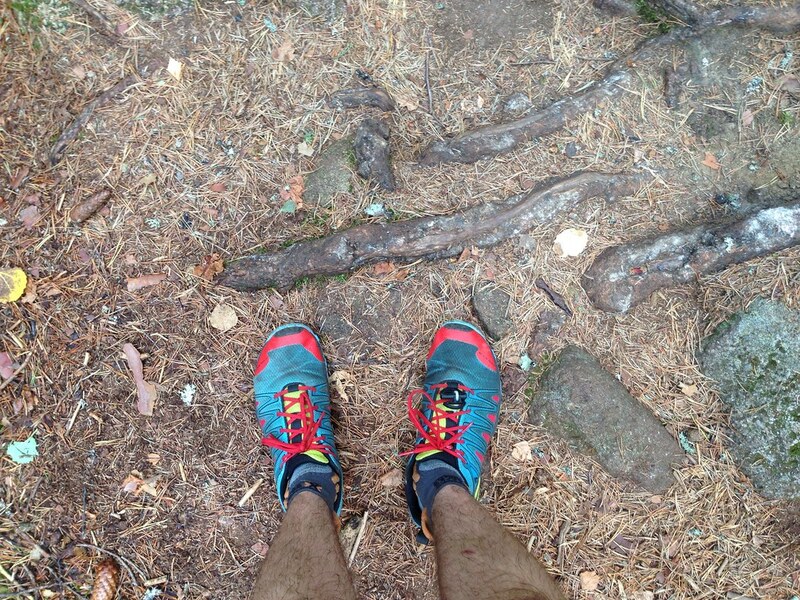 Over the socks were the Inov-8 TrailRoc 235 as you can see from the photos above. They are 494 gram the pair and have a 6 mm footbed across the whole foot, 0 mm drop, and thus have minimal cushioning. 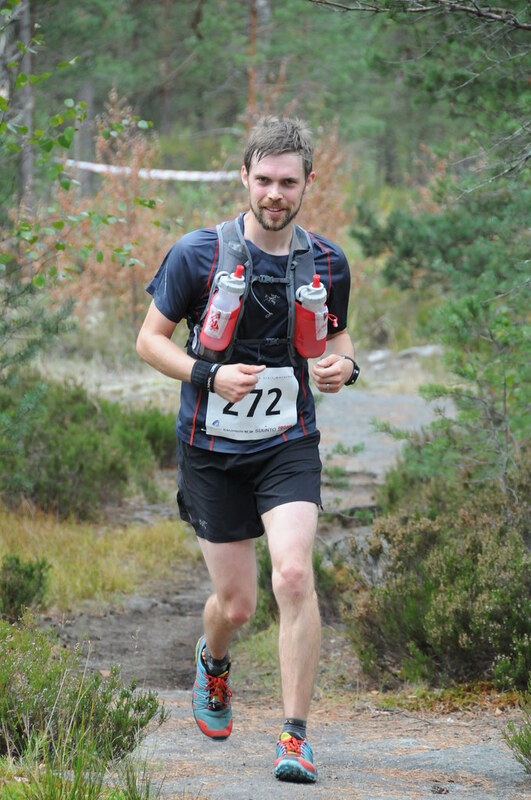 They were great on every terrain, although I need to say that more than once I thought that the new pair of Salomon Speedcross 3 I bought before the race would have been good too, as a bit more cushioning on the extensive sections of rock would have been nice. And then there was the Ultimate Direction AK Vest, designed by Anton Krupicka. 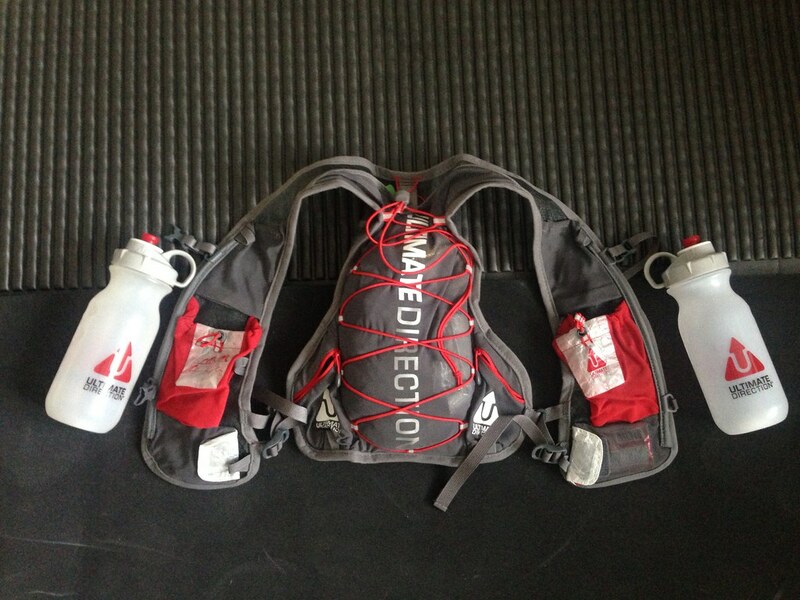 It is the world’s lightest hydration pack, so just fitting for an ultralight backpacker turned trailrunner! It has four small pockets for gels, two bottle holsters and a large (4 l volume) pocket which fits a hydration system or gear. It’s super comfortable and doesn’t bounce when running, which you can’t say about a lot of the packs I saw others with. Truly a superb piece of gear! In the Ultimate Direction AK Vest I had an Arc’teryx Squamish windjacket, a Merino Buff and a pair of Arc’teryx Phase Liner Gloves; garments which should have kept me warm in case it should have gotten very windy or started to rain more seriously. 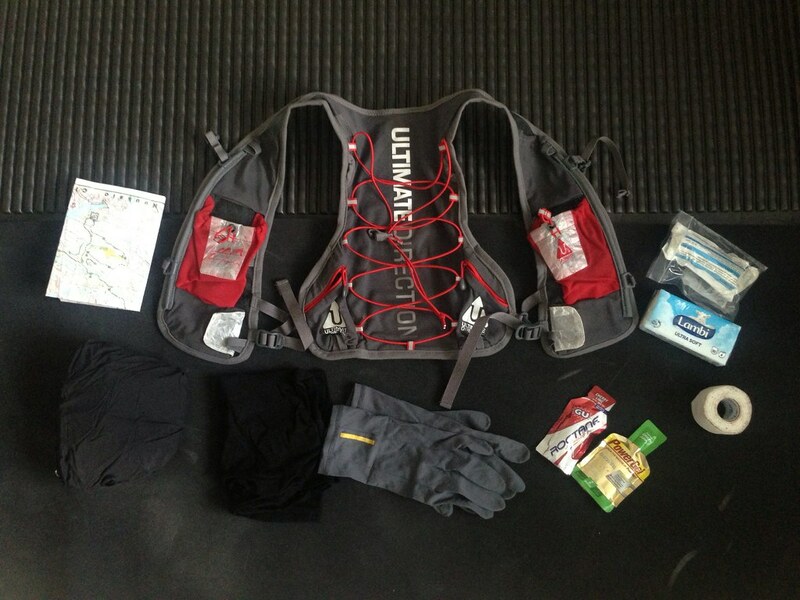 Then there was the FA kit, the map one was required to carry, and energy gels. Now I had tried PowerBar Gels during my training runs and had also four with me, but bought the day before two GU Energy Gels and two Roctanes and liked them much, much, much better than the PowerBar stuff. It’s so good that I probably will need to order some from the USA, because it’s a bit pricey here and only available in Helsinki =) If you’re thinking of getting started on Gels and the like, check out their Performance Energy Sampler offer. Great stuff. What were the other racers wearing? 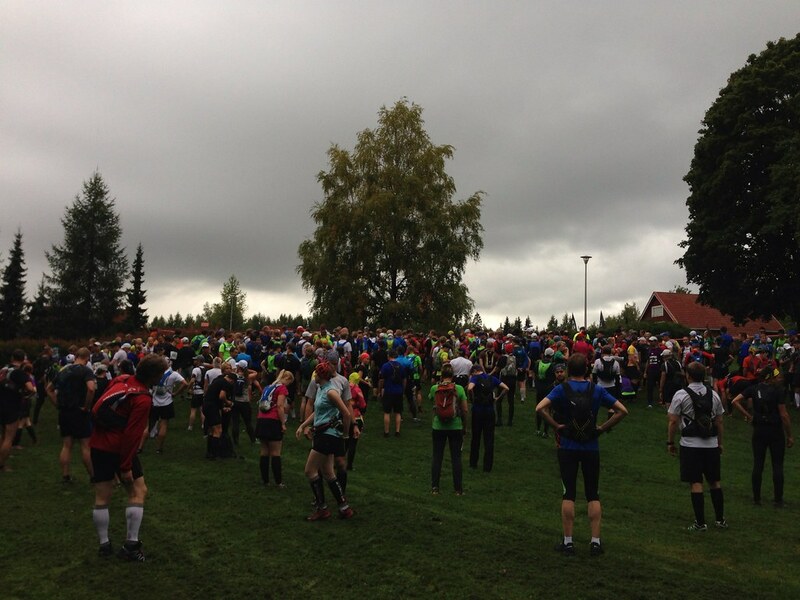 There were massive amounts of Salomon shoes, socks, hydration vests and garments around. The Contra Grip profile was easily the most seen profile in the muddy sections! 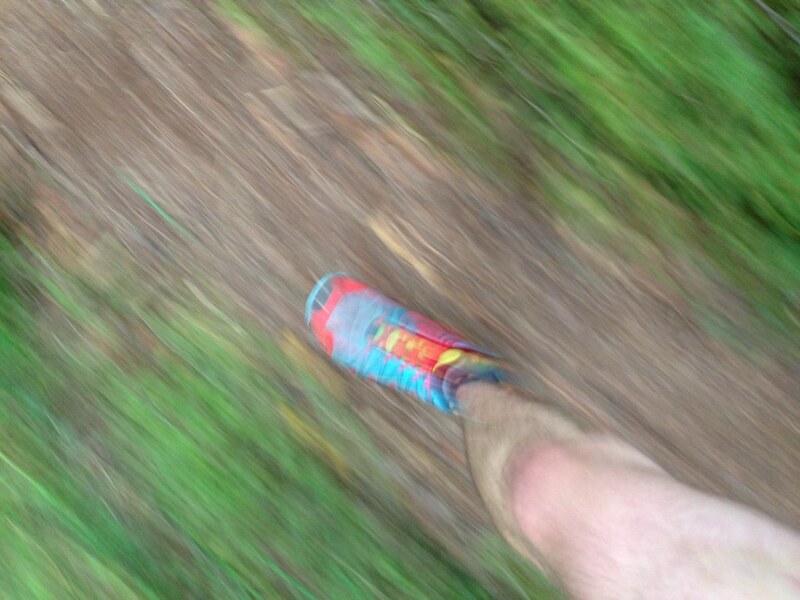 There also were quite a few people who ran in Vibram Five Fingers, Inov-8s and Merrells which made me very happy, with some other brands in between. 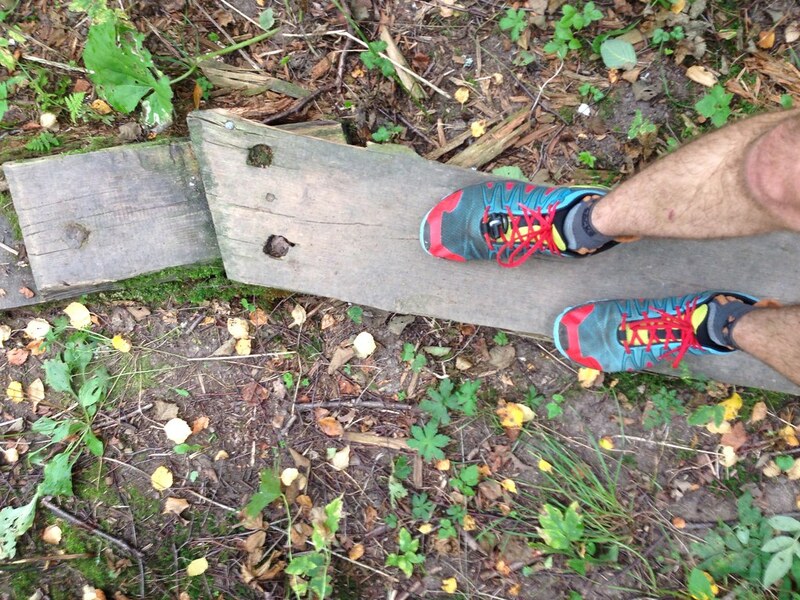 But Salomon is the top trail running brand here in Finland, easy to get and hence was on most people’s feet and bodies. 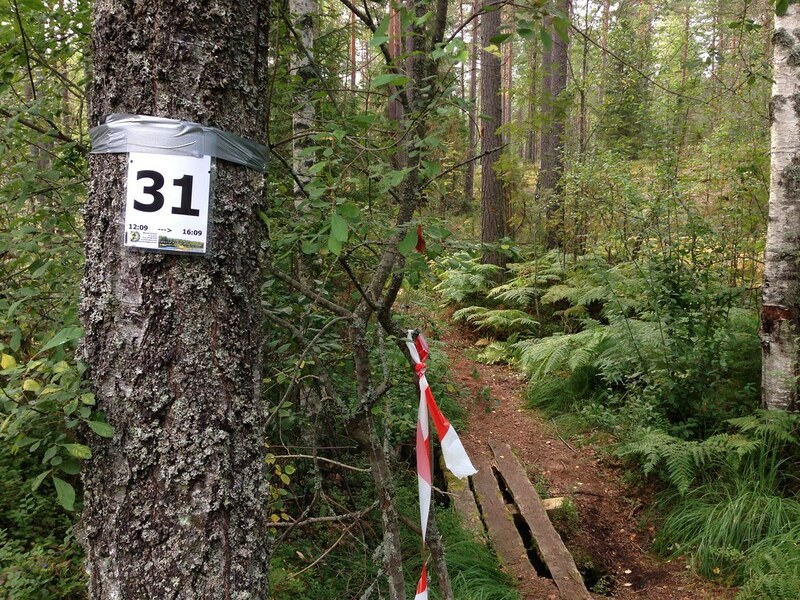 This was my first trail marathon. Despite me thinking that competition does not belong into the wildernis, I didn’t see this as a competition. Sure, we were competing, but I myself saw myself just competiting against myself, see if I can finish a 42 km race in the hills & forests. Even if I’d compete in Ultras in the future, it would be to see if I can do it, and not if I can do it better than others or even win it. It also was a great way to train for backpacking trips. 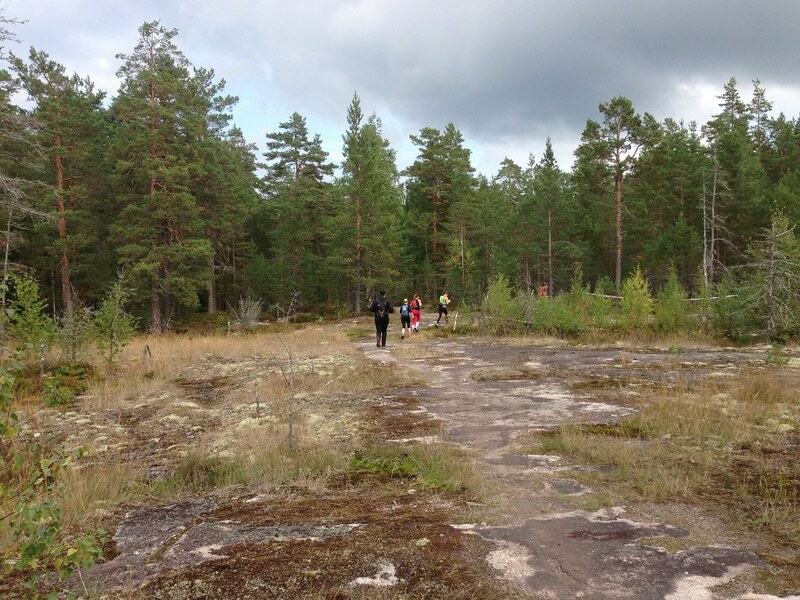 I just returned Wednesday evening from a six day loop in Lapland, and while I have done some long distances before, it felt a lot easier now to hike 33 km in a day (and the speed was at times a superb 5 km an hour, too). Finally, it’s a great way to explore the surroundings of where you live and stay fit. That alone makes heading out for a trail run worth it. 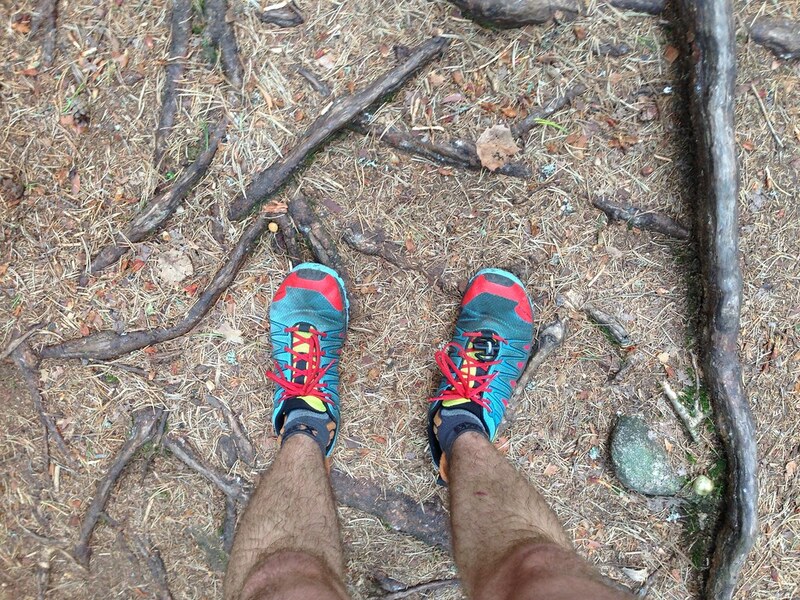 So, if you haven’t yet tried trailrunning, consider taking the trailrunning shoes you hike in, put on some shorts and a shirt, and head out for a run. You might be slow and sweaty on the first few outings, your legs might ache the next day, but you’ll improve every time you hit the trail, enjoy the fresh autumn air, the soft leaves under your feet, and feel awesome.